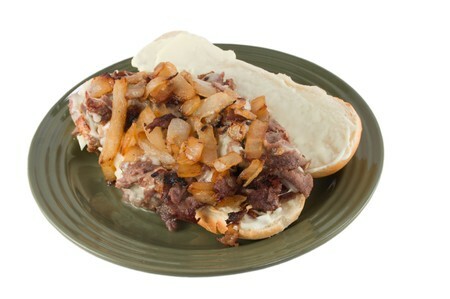 Rivaling neighboring Pat’s, Genos is Philly’s other notorious 24-hour cheesesteak stop. As has been the case since Joe Vento opened in 1966, sandwiches come heaping with thinly sliced steak and a choice of American, Provolone, or cheese wiz melted across the top. The menu is simple, the ordering straightforward, and the meal a decadent version of the best sandwich Philadelphia has to offer. If the glowing storefront doesn’t lure you in, the unmistakable scent of grilled steak certainly will.